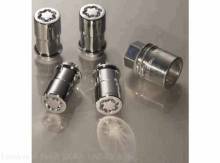 Wheel Locks - Chrome Plated for Exposed Lugs * For added protection against wheel theft, replace one lug nut on each wheel with wheel locks. 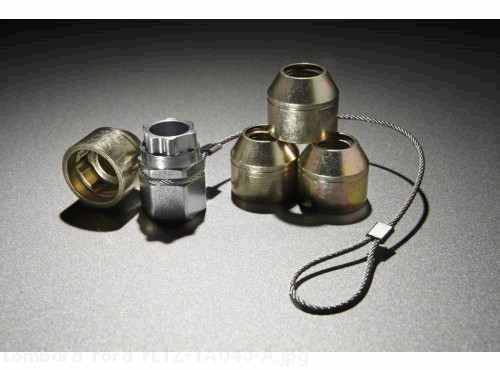 * Chrome-plated locks available for exposed lugs. * Kit includes four locks and key. * Please fill out enclosed registration card as well.